Below is a list of all my published journal articles, book chapters and books. Conference presentations and talks are also added on a continuous basis. Within the broad field of human enhancement, pediatric cognitive neuro-enhancement appears to arouse particular interest. The increasing importance of cognitive capacities in our contemporary and cultural context appears to be the main reason for the focus on cognition as the preferred trait of enhancement, while the choice of pharmacological means is based on factors of feasibility, accessibility and cost. 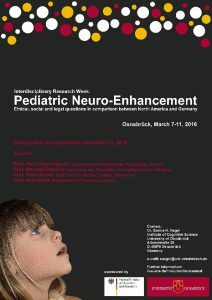 While the ethical issues arising in the adult context have already been extensively covered in the literature, pediatric neuro-enhancement brings with it additional ethical challenges requiring further attention. 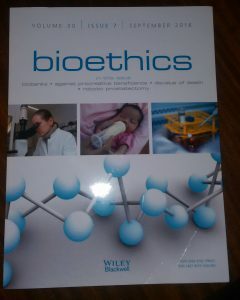 Although there are numerous important ethical considerations, the focus of this chapter is on the pursuit of normalcy as the goal in pediatric neuroenhancement. Parental attempts to shape children are not new and the resources available for them to do so include widespread and mostly uncontroversial tools, such as education. The increasing use of psychotropic drugs, however, reveals the significant impact of the concept of normalcy, which has resulted in a trend to medicalise what used to be considered ‘normal’ (childhood) behaviour. In this context, special challenges are posed by psychiatric disorders, where the familiar treatment-enhancement distinction continues to be relied upon to justify interventions in children. Drawing on the examples of attention deficit/hyperactivity disorder (ADHD) and autism spectrum disorder (ASD), it will be argued that children are already being enhanced within psychiatric practice and that this is incompatible with an understanding of disability under a mixed model. While donation schemes with dedicated regulatory frameworks have made it relatively easy to donate blood, organs or tissue, it is virtually impossible to donate one’s own medical data. The lack of appropriate framework to govern such data donation makes it practically difficult to give away one’s data, even when this would be within the current limits of the law. Arguments for facilitation of such a process have been advanced but so far have not been implemented. 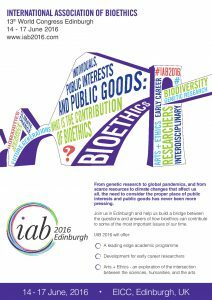 Discussions on the ethics of using medical data tend to take a system-centric perspective and focus on what researchers and the health service may or may not do with data that are placed within their trust. Rarely, if ever, is the question of the data subjects preferences addressed beyond practical matters of obtaining valid consent. This constitutes an important omission in the ethical debate, which this volume seeks to address. This article argues that personal medical data should be made available for scientific research, by enabling and encouraging individuals to donate their medical records once deceased, in a way similar to how they can already donate organs or bodies. This research is part of a project on posthumous medical data donation (PMDD) developed by the Digital Ethics Lab at the Oxford Internet Institute. Ten arguments are provided to support the need to foster posthumous medical data donation. Two major risks are also identified—harm to others, and lack of control over the use of data—which could follow from unregulated donation of medical data. The argument that record-based medical research should proceed without the need to ask for informed consent is rejected, and it instead a voluntary and participatory approach to using personal medical data should be followed. The analysis concludes by stressing the need to develop an ethical code for data donation to minimise the risks providing five foundational principles for ethical medical data donation; and suggesting a draft for such a code. To maximise the clinical benefits of machine learning algorithms, we need to rethink our approach to explanation. This chapter follows the argument that personal medical data should be made available for scientific research by enabling and encouraging individuals to donate their medical records after death, provided that this can be done safely and ethically. While medical donation schemes with dedicated regulatory and ethical frameworks for blood, organ or tissue donations are already in place, no such ethical guidance currently exists with regard to personal medical data. In addressing this gap, this chapter presents the first ethical code for posthumous medical data donation (PMDD). It is based on five foundational principles and seeks to inform and guide the implementation of an effective and ethical PMDD scheme by addressing the key risks associated with the utilisation of personal health data for the promotion of the common good. In this paper we are concerned with how restrictions of parental rights are assessed, understood and justified in state interventions, specifically in child protection removals of newborns. In most states it is the courts or court-like bodies that have the authority to make decisions about such restriction of parental rights, and our data material for the analysis is the written judgements that justified that an intervention is considered necessary or not. Our aim is to understand the actual reasoning and justification of a child protection intervention that concerns the best interests of a newborn baby, and especially we focus our analysis to the courts considerations of parental capacities. Our study contributes to the discussions about the legitimacy of state interventions, as well as improve our understanding of the principle of the child’s best interests and how it is balanced against parental rights. This article argues that personal medical data should be made available for scientific research, by enabling and encouraging individuals to donate their medical records once deceased, similar to the way in which they can already donate organs or bodies. This research is part of a project on posthumous medical data donation developed by the Digital Ethics Lab at the Oxford Internet Institute at the University of Oxford. Ten arguments are provided to support the need to foster posthumous medical data donation. Two major risks are also identified—harm to others, and lack of control over the use of data—which could follow from unregulated donation of medical data. The argument that record-based medical research should proceed without the need to secure informed consent is rejected, and instead a voluntary and participatory approach to using personal medical data should be followed. 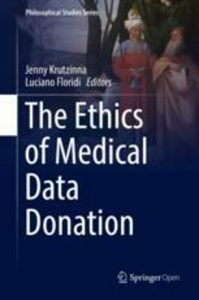 The analysis concludes by stressing the need to develop an ethical code for data donation to minimise the risks, and offers five foundational principles for ethical medical data donation suggested as a draft code. Although the employment situation of disabled people has widely been identified as in need of improvement, progress in this area remains slow. While some progress has been made in including the physically or sensory disabled in the workplace, other types of disability have been largely neglected. This applies particularly to disabled workers in atypical employment, such as those whose workplace is the Digital Economy. In this article, we discuss the case of disabled app developers as a significant example of how the current regulatory framework fails to be inclusive in its attempts to protect the rights of disabled Digital Economy workers. We identify two problems that are at the heart of this: first, a continuing failure to collect relevant and comprehensive data on disability, and second, a lack of accountability towards disabled workers in atypical employment. Consequently, we call for better data collection and argue for urgent policy changes to close the existing accountability gap. Discussions about the ethical permissibility of pediatric cognitive enhancement frequently revolve around arguments about welfare, and often include an appeal to the child’s right to an open future. Both proponents and opponents of cognitive enhancement claim that their respective positions best serve the interests of the child by promoting an open future. This article argues that this right to an open future argument only captures some of the risks to the welfare of children, therefore requiring a broader ethical approach. 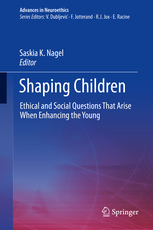 Further, it suggests that a thorough moral assessment of the ends pursued is needed before concluding on the moral permissibility of cognitive enhancement in children, which ultimately hinges on the effect on the overall welfare of the child, beyond an open future. Human Enhancement: Is it really ‘good for you’? “In terms of human functioning, an enhancement is by definition an improvement on what went before. If it wasn’t good for you, it wouldn’t be enhancement.” – John Harris, p. 9 (Enhancing Evolution). This quote encapsulates a pretty common assumption about enhancements – not only the definitional element of the first half, but also the arguably more normative claim at the end ‘if it wasn’t good for you, it wouldn’t be enhancement.’ It is of course reasonable to assume then that enhancements are, not only good things generally, but are also good things for the people who undergo them; that they are good for the enhanced individual. However, Jen has argued, and Sarah has explored, the fact that that this can’t always be said to be the case. 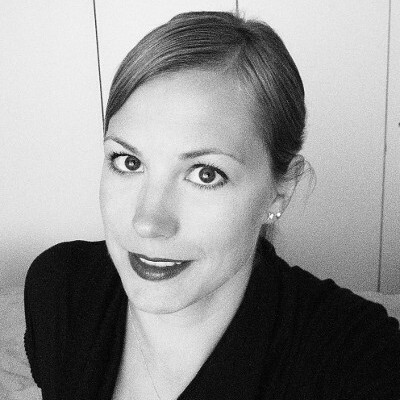 Jen has argued that cognitive enhancement is not something that is an inherently good thing to bestow on young children, and that this can be demonstrated clearly in the way that we deal with gifted children in our society today, and could even lead to unforeseen consequences such as a new kind of disability. Meanwhile Sarah has explored the idea that moral enhancement (for all its conceptual issues) is something that does not directly benefit the enhanced individual, and that efforts to offer someone a reason to undergo such an intervention are likely to fall flat. Today, they discuss their research. Despite the welfare of the child being afforded special legal and moral importance, it appears that the law is currently not objective in its application to children. There is an undeniable link between healthy child development and education, with the latter greatly impacting on mental health and general well-being. 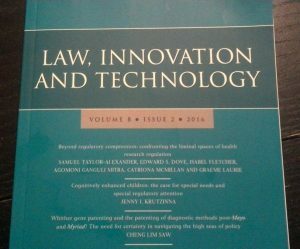 Drawing on the example of the differential treatment of gifted children in an educational context, I argue that the legal framework with regard to learning disabilities and cognitive impairments operates contrary to the proclaimed goal of protecting and promoting the welfare of the child. This, I argue, constitutes unjustified discrimination, especially since there is a case to be made that highly cognitively able children could be considered disabled under a social model of disability. Whilst the group of affected children is small at present, developments in cognitive enhancement technologies mean that many more children might in the future be affected. Since the law currently fails gifted children, it will by analogy also likely fail cognitively enhanced children. Despite the welfare of the child being the ‘paramount consideration’, it appears that the law is currently not objective in its application to children. There is an undeniable link between healthy child development and education, with the latter greatly impacting on mental health and general well-being. Drawing on the example of the differential treatment of gifted children in an educational context, I argue that the legal framework with regard to learning disabilities and cognitive impairments operates contrary to the proclaimed goal of protecting and promoting the welfare of the child. This, I argue, constitutes unjustified discrimination, especially since there is a case to be made that highly cognitively able children could be considered disabled under a social model of disability. Whilst the group of affected children is small at present, developments in cognitive enhancement technologies mean that many more children might in the future be discriminated against. 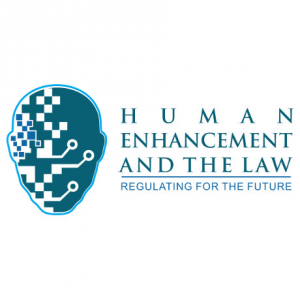 In addition, since the most promising cognitive enhancement interventions involve genetic technologies, such as pre-implantation genetic diagnosis, authorisation from the Human Fertilisation and Embryology Authority will likely be required. This means the state will be acting as a facilitator in ‘creating’ cognitively enhanced children, and as a result shares in the responsibility for such children and their particular welfare needs. Given the current treatment of gifted children in our educational and welfare system and the similarities to cognitively enhanced children, it is time to start regulating for the future. 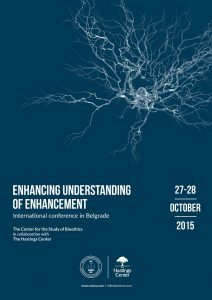 Conference Organiser: The NeuroLaw Project, supported by the Arts and Humanities Research Council. Assuming that the purported goal of much legislation as well as ethical argument is the protection of the welfare of children, I challenge some of the conceptions which currently inform the cognitive enhancement debate. Using an example from English education law, I demonstrate that there are gaps in the debate which need to be addressed if we are to continue attempts to increase children’s cognitive abilities, whether by pharmacological, genetic, or other means. Addressing a problematic asymmetry in interpreting what is good for children, I suggest that we ought to look for alternative interpretive concepts, such as offered by the concept “DiffAbility” and the idea of neurodiversity. This should lead to actual enhanced well-being of children independt from notions of normality and/or disability, rather than an enhancement only of abilities. The desire to self-improve is probably as old as humanity: most of us want to be smarter, more athletic, more beautiful, or more talented. However, in the light of an ever increasing array of possibilities to enhance our capacities, clarity about the purpose and goal of such efforts becomes crucial. This is especially true when decisions are made for children, who are exposed to their parents’ plans and desires for them under a notion of increasing wellbeing. In recent years, cognitive enhancement has become a popular candidate for the promotion of wellbeing; welfarists even impose a moral duty on parents to cognitively enhance their children for the sake of their wellbeing. In this article, I aim to show that welfarists are mistaken in inferring such a moral obligation from the potential benefit of cognitive enhancement. 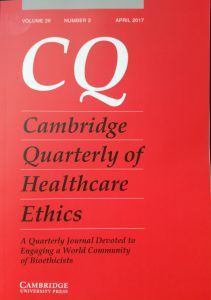 In support of this, I offer three arguments: (a) the vagueness of wellbeing as a theoretical concept means it becomes impossible to apply in practice; (b) the link between cognition and wellbeing is far from unequivocal; and (c) quantification issues with regard to cognition make a duty impossible to discharge. In conclusion, I reject the welfarist approach as a justification for a parental moral obligation to cognitively enhance children. Wir werden immer älter und bleiben dabei im Durchschnitt sogar gesünder. Große medizinische und technologische Fortschritte ermöglichen einen stetigen Anstieg der durschnittlichen Lebenserwartung und einige ambitionierte Biogerontologen sprechen sogar von der Möglichkeit der Unsterblichkeit, die mehr oder weniger greifbar zu sein scheint. Aber nicht alles was machbar ist, ist auch erstrebenswert. Besonders die potenziellen gesellschaftspolitischen Konsequenzen stellen uns vor eine Herausforderung und erfordern eine gezielte ethische Betrachtung. Einem Recht auf gesundes und langes Leben stehen Forderungen nach globaler Gerechtigkeit und einer Gesamtnutzenbetrachtung gegenüber. Und schließlich stellt sich auch die Frage, in wie weit aus individueller Sicht ein deutlich verlängertes Leben wünschenswert ist.